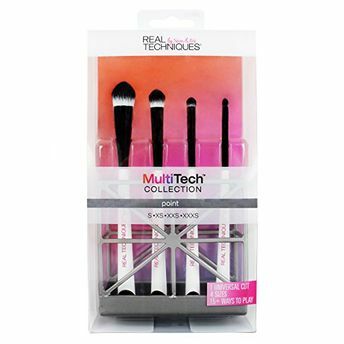 Play up your makeup with Real Technique's Small Point Set. It contains 4 sizes of brush for detailed application and precision blending. Removes all sorts of impurities from brushes. Point S: All-over shadow, concealer, contour lines, highlighter more. Point XS: Colour correcting, concealer, crease eyeshadow, more. Point XXS: Detailed highlighting, detailed shadow, lip blending, more. Point XXXS: Brow filling, Smokey liner, smudged liner, lip detailing more. One-size-fits-all brush stand: Store your brushes upright. Explore the entire range of Brush Sets available on Nykaa. 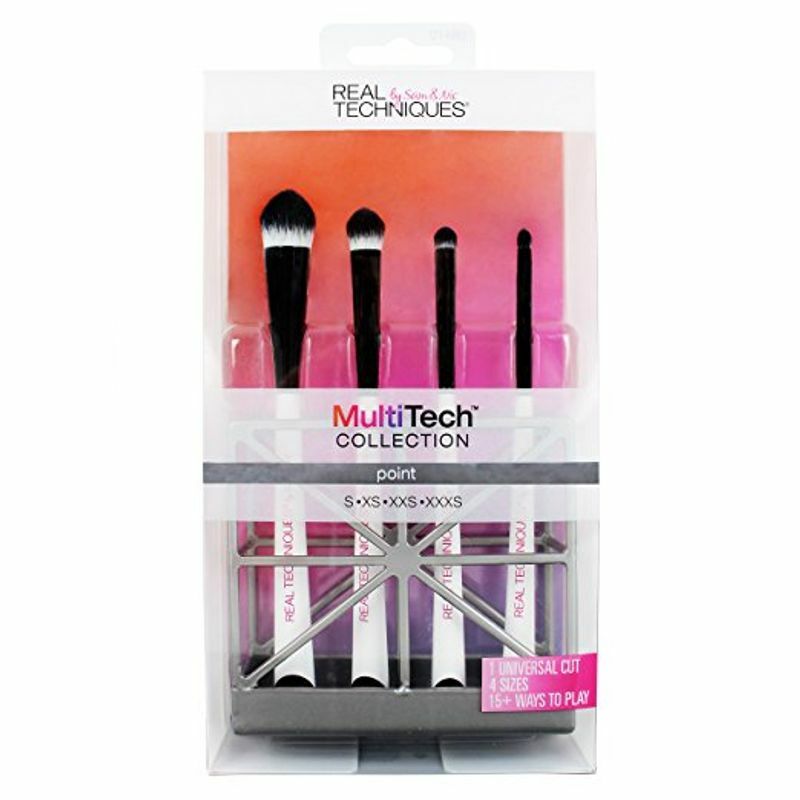 Shop more Real Techniques products here.You can browse through the complete world of Real Techniques Brush Sets .